The middle home, Iris, is named after the dazzling goddess of the rainbow who paints her gusty path with her gold-winged sandals uniting earth and sky. 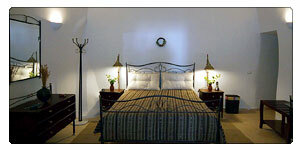 Welcome to Lithiés Traditional Homes on the majestic island of Santorini. 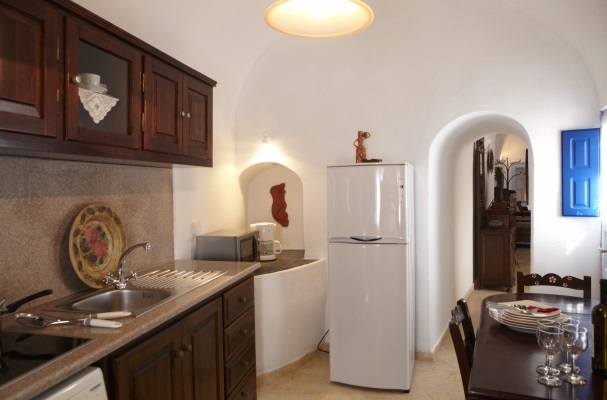 The Skarpathiotis Family has spent years designing and remodeling these homes using their passion and knowledge of Santorini. 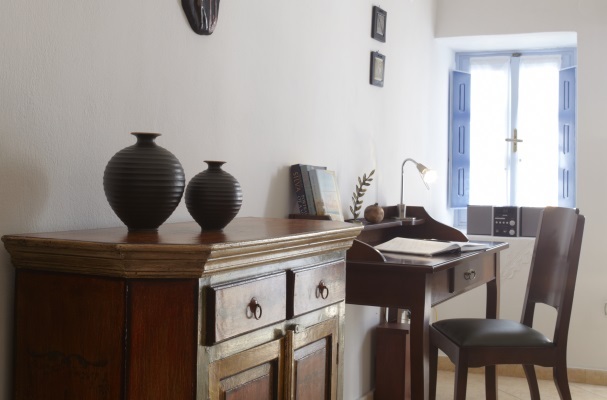 Each home has been custom decorated by Anita Skarpathiotis, an art historian. Ideal for both couples and families, the Lithies homes are flexible. Larger parties may rent multiple homes to enjoy a piece of the island exclusively by themselves! The term Lithiés (pronounced lee-thee-és) is a convention of the Nobel laureate poet, Odysseas Elytis. 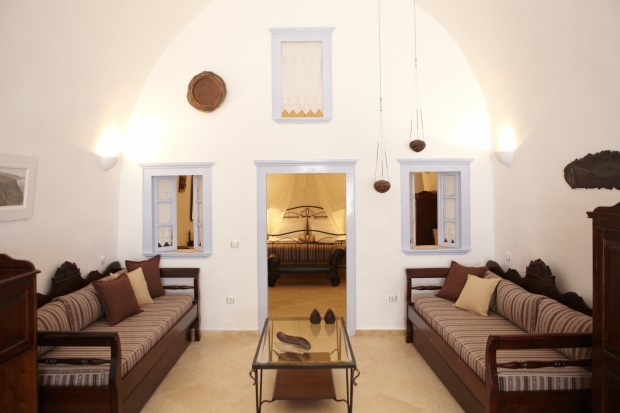 The Lithiés homes capture the spirit of the island, echoing the poetic verse “dry stone walls (the Greek word "lithiés") and sea waves hand in hand” from Elytis’ The Axion Esti. The houses are spacious grottos tunneled into the sheer multi coloured cliffs of the caldera, their facade slightly protruding from the edge of the cave. They appear to grow naturally out of the rocky landscape, which is set against a sweeping expanse of sea and sky. The homes are secluded, accessible via a stepped walkway, yet are well integrated into the town of Firostefani. Bordering the edge of a blue-tiled pool is a generous terrace that links all three homes and offers sweeping views of the caldera and the volcano. Nestled in scenic Firostefani, the Lithiés homes reside 1400 feet above sea level under the gaze of the marvelous Aegean sun. 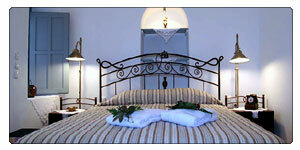 Firostefani is one of the finest examples of Mediterranean vernacular, embracing a spectacular natural landscape. Firostefani is home to Skaros Castle built on Skaros rock, visible to the right of the settlement. 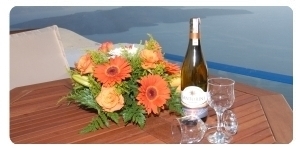 A ten minute walk from the main town of Fira and a 15 minute drive from the airport, Firostefani offers guests an elegant setting that is also convenient.